Each country has its own beauty, amazing views and mysterious things that words can not describe and Vietnam is divided into 63 provinces, located on “S” line – a shape look like a Vietnam girl is wearing up “The Ao Dai”(Vietnamese traditional clothing) with a Conical Hat, both of them is Vietnamese symbol. People and Nature created a painting very wonderful. I really want to say that: Thank you so much, Nature Mother. Because you gave us breath taking landscapes. Vietnam is proud of what things you awarded to Vietnamese and want to share miraculous and valuable things in our country with travelers who love natural sceneries. So, Vietnam is one of the countries should be on the Top Travel List of travelers and worthy of good reviews and amazing feelings in route diary. Traveling is a way to refresh our mentally and physically. 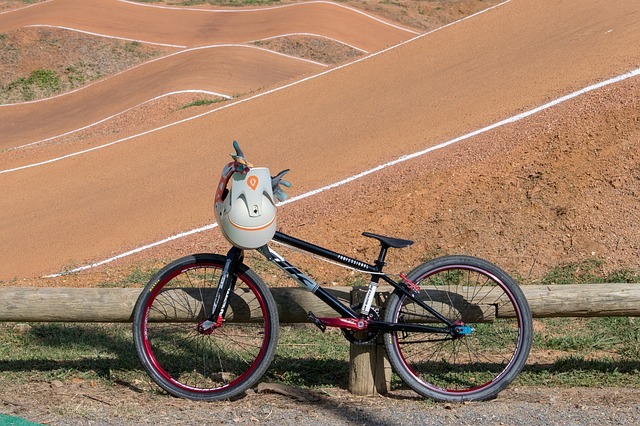 Moreover, the world is more and more busy, noisy and modern, so bike tours connect with local nature sites are the best way to relax as well as explore people and culture. Hue city is very lucky when this city converges factors that it suited for organizing bike tours. 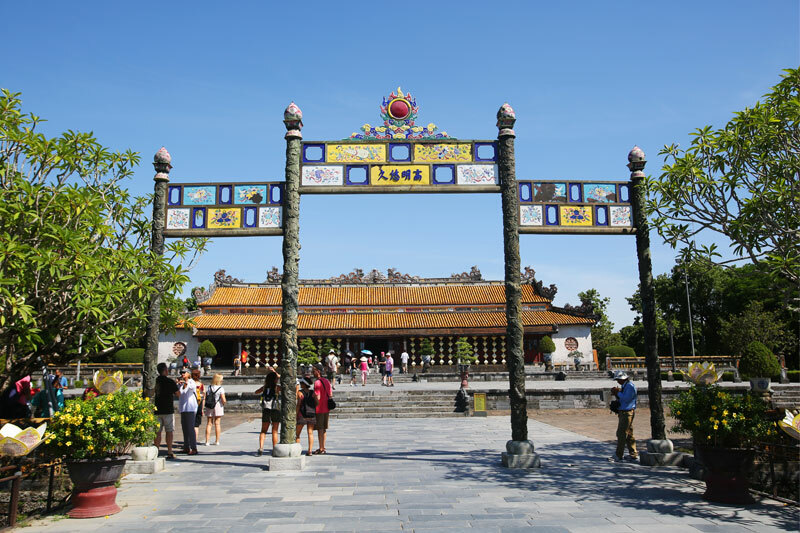 You know, Hue was the capital of Vietnam during the feudal rule from 1802 to 1945 under the Nguyen dynasty. Nowadays, Hue is remaining a lot of originally historical vestiges and many cultural heritages. Therefore, Hue is creating an event to refer, that event is the collection of top bike tours in Vietnam to organize discovery tours. The event does not only draw visitors but also a creation of profound impressive about people, culture and heritage here. Cycling to Thanh Toan Tile – Roofed Bridge: Located eight kilometers away. The village shelters a covered bridge dating back more than two centuries; offered to the villagers by the wife of a high ranking Mandarin. Continue along the river with its banks dotted with temples. At the edge of the river banks, the mothers wash their linen while their children are biking back home from school, many who will be astonished to see Westerners lost in this corner of the countryside. 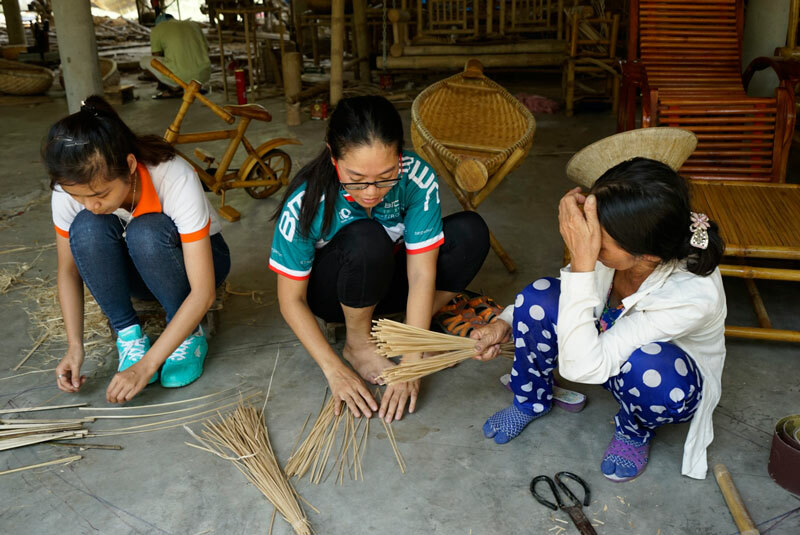 Moreover, Thanh Toan Village has been saving, preserving and displaying agricultural implements – one of the relics worth proud of Vietnamese. Views and local people are still homely, good natured and happy. They are like talking, singing folk songs and take you off go around their village. They just simply want to show you all nice views as well as things that it makes fun in the life. Gia Long Tomb Bike Tour: Gia Long – the first king of the Nguyen Dynasty which he founded in 1802, the last of the Vietnamese dynasties. He spent almost half of his life time in the war, fought for his royal family, and for a United Vietnam early 19th century. He died at the age of 58 while his tomb was being built due to his own design. The land was chosen very well to build his last-resting place. The complex is well-designed suites with the stunning natural setting of pine trees surrounded. You will find yourself peacefully when taking a short walk here. Besides, you can also discover more interesting stories about Gia Long King’s life through things that it displays in his tomb. This would be the highlight of this tour. Tam Giang Lagoon Bike Tour: Tam Giang which is one of the biggest lagoons in Southeast Asia, it has fresh and clean water and is part of one of the most beautiful lagoon systems in Central Vietnam. This is a site that you can enjoy fresh air and dramatical light sunrise and sunset. I wonder farm activities whether it attracts you? Do you interest with farm products that you and the local fisherman caught such as shrimp, crab, fish, mussel and so on. Biking on the bicycle at leisure and enjoying seafood will great activities and memorable experiences. Experience, exploring the raw beauty and tranquility of countryside together with helping preserve local culture, traditional handicraft, and environment. It is said that “Hue is the pearl of the past and the pride of the present”. As you know, Hue is not only famous art architecture monuments but also known as amazing cuisine traditional styles and ancient villages. 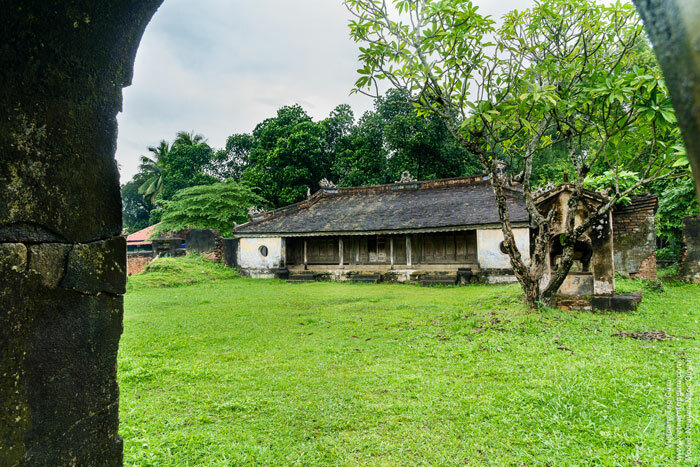 One of these villages is Thuy Bieu, the village still keeps almost initial appearance with inside and outside wall, stand, stone steps and entrance gates such as Tiger Fighting Arena and Elephant Temple with the age of 183 years. This is the first sight that you can drop off before you cycling to Thuy Bieu Village. Visit here, tourists not only have a chance to enjoy and contemplate the beauty of nature, get a lot of valuable histories about the old village; unique kind of fruit called “Thanh Tra” (Grapefruit), local cuisines but also attend to some exciting outdoor activities to connect to local people. Vietnamese street food tours, you can join this tours everywhere in Vietnam such as Ho Chi Minh, Da Lat, Nha Trang, Mui Ne, Can Tho, Hoi An, Da Nang, Hue, Ha Noi, Cat Ba, Sapa, … Delicious dished does not in luxurious restaurants, it often made by local people and they sell on the sidewalks. 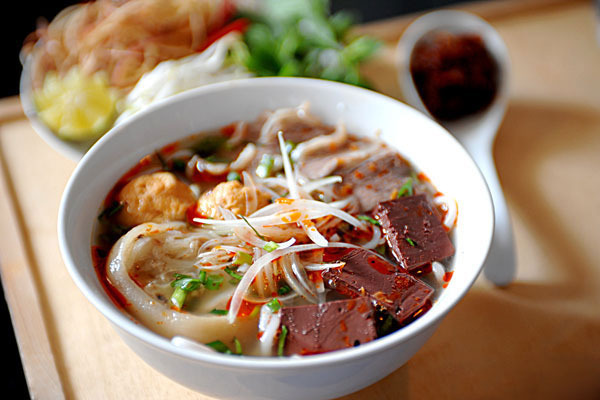 One of the most famous cities about the street food tour is Hue city. You know, this city has been chosen and decided the Capital of Royal Dynasty by the first Emperor of Vietnam, Gia Long King in the old day. Therefore many dishes all over Vietnam were carefully researched and made to serve the Royal Family. Moreover, Hue girls were chosen to be trained for cooking for Royal family when they were at around 9-10 year old so Hue women are very good at cooking and those cuisines have been becoming handed down from generation to generation. Therefore, local people have been inheriting and developing these skillful hands. Until now, these dishes are still amazing with clever Hue woman hands. So, Hue city can consider the paradise of so many delicious and attractive cuisines that it combined Royal Cuisine with Local Cuisine. Eating and talking at the same time is interest things in the street food tour. 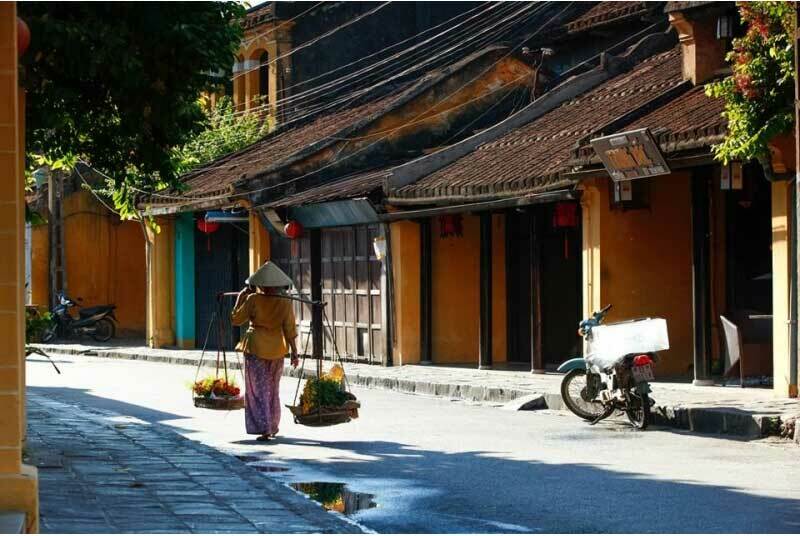 Countryside life, Hoi An Ancient Town and Hue city, both have ancient villages, rice and veggies fields. You will be attracted by homely, good natured and happy of the farmers, daily stories that it is told by local people. The vistas are very beautiful as well as the verdant roads are very impressive with rustic and clear views. You can enjoy fresh air and dramatical light of sunrise and sunset, also. Connecting and exploring are highlights in the tours. There are still a lot of bike tours that we can do and make deep impressions with travelers. 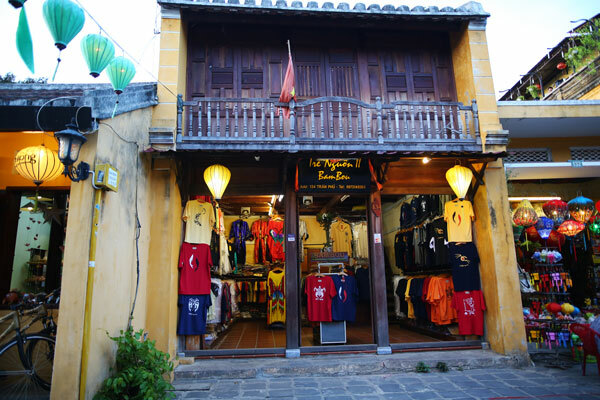 In order to uphold traditions, soul beauties and the best things of Vietnamese, as well as take tourists off go to close up with Vietnam, understand clearly and become a real Vietnamese then Hue Smile Travel – the leading company on bicycle tours hope to connect tourists with nature and people in Vietnam. Especially, Vietnamese women are most good at cooking. There are many cooking classes that we can let travelers join to practice then enjoy the dishes that you just cook with the support from these women. That is really a strong impression on the tourists. So, Hue City will choose one of these tours and step up image promotion as well as tourist sites.